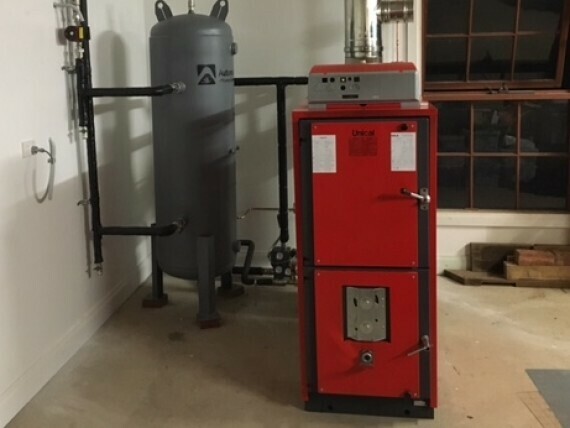 Firex boilers are an efficient means of heating buildings in rural areas, particularly where no natural gas is available and where LPG is considered too expensive. 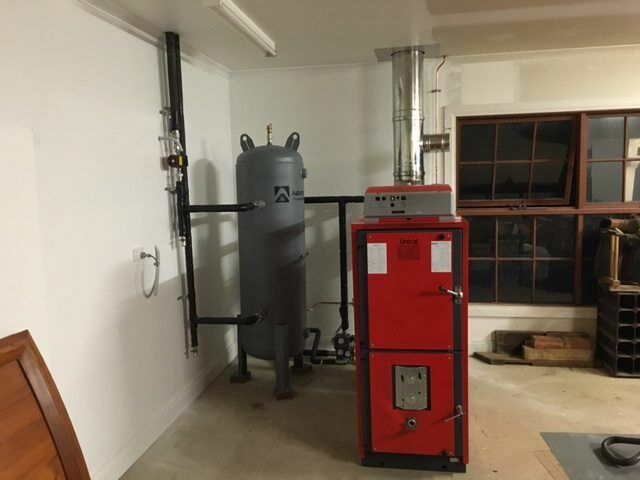 This case study evaluates installation of a 55kW Firex boiler to provide heating for a residence in Trentham. 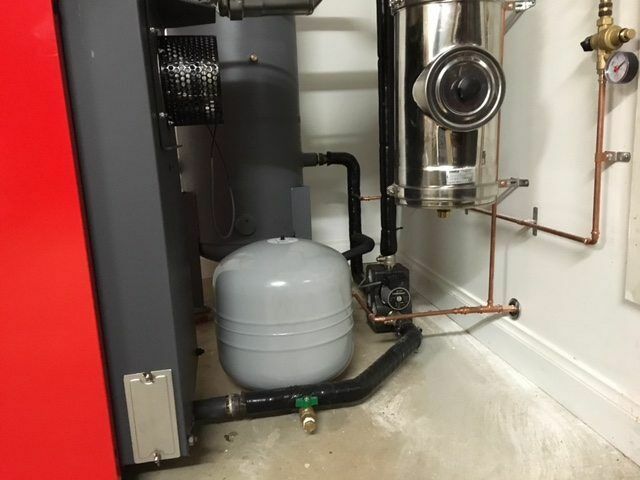 While not implemented in this case, the boiler could also have been used to also provide domestic hot water. Boilers of this nature are not suited to low return water temperatures. 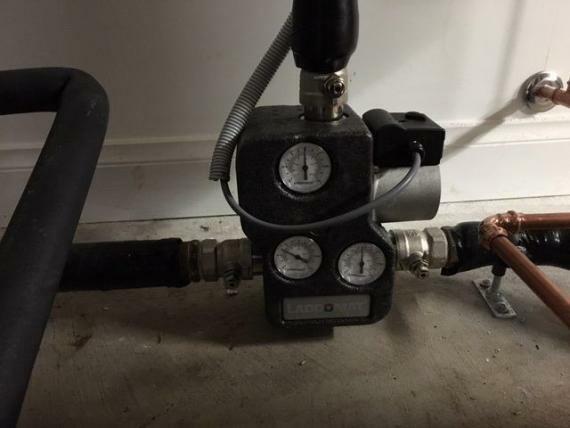 This issue is well taken care of by the use of a Laddomat valve and Thermex buffer tank which allows closed-loop circulation of water through the boiler until a preset temperature is reached, at which time the valve opens to allow flow through the main heating circuit. The valve continues to adjust the flow to maintain the optimum water temperature control throughout the system. 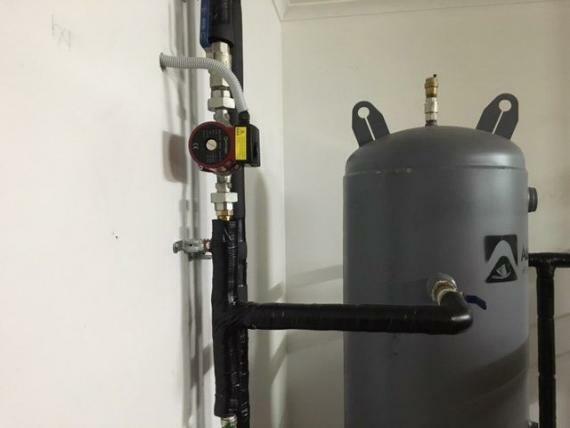 The system is also complemented by a Duraflex Forte expansion tank to accommodate pressure variations in the closed water loop during the heating cycle. 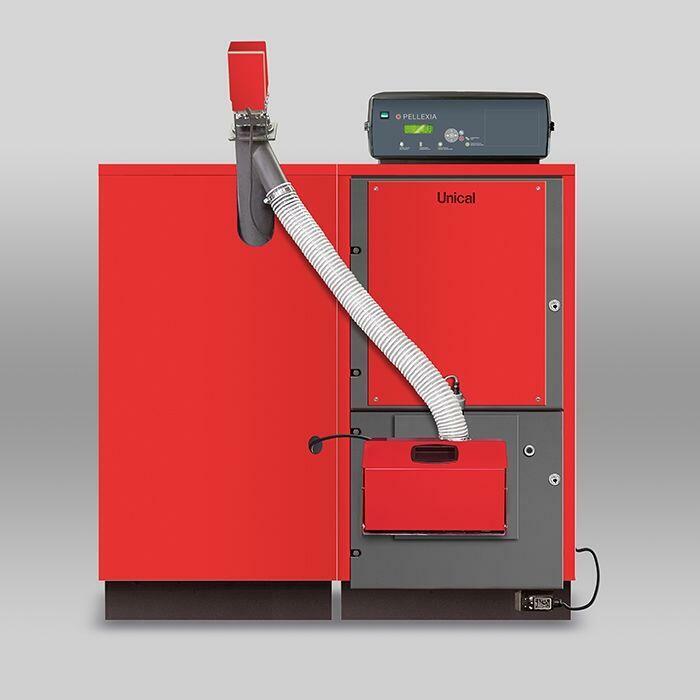 The boiler in this wood fired hydronic heating system, employs the use of revolutionary gasification technology where the flame is drawn downwards towards the heat exchanger through the use of cleverly engineered airways assisted by inbuilt fans. 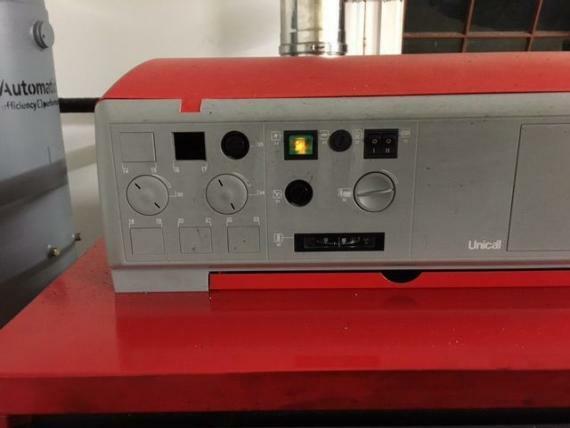 This enables combustion of the solid fuel to be controlled to suit the heating demand, thereby saving fuel and increasing efficiency. The primary and secondary air ports are also adjustable to achieve optimum performance. 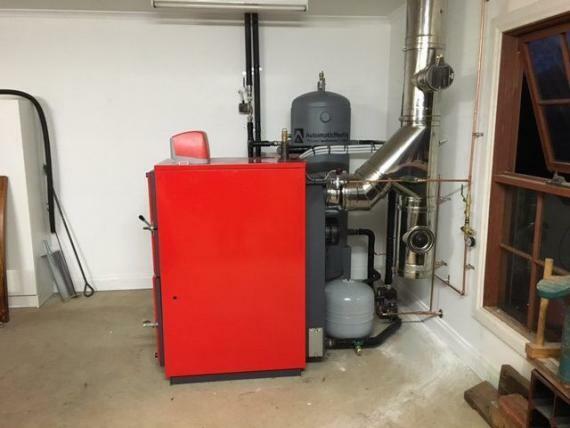 The Firex boiler in this project was fitted with a twin skin stainless steel flue with a number of notable features. With any solid fuel combustion there is a possibility of embers and soot finding their way into the flue. 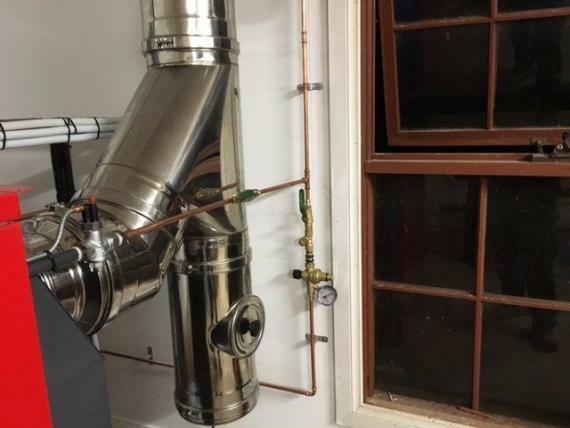 The flue in this case by design, exits the boiler at an angle of 45° and where it changes to a vertical angle the flue extends below the intersection forming a chamber to collect falling soot and embers. 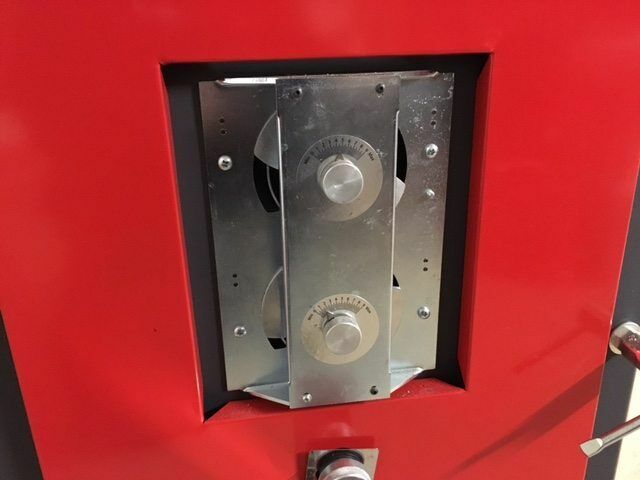 This chamber features an inspection port and is easily accessed for cleaning. The flue also features a draft regulator. 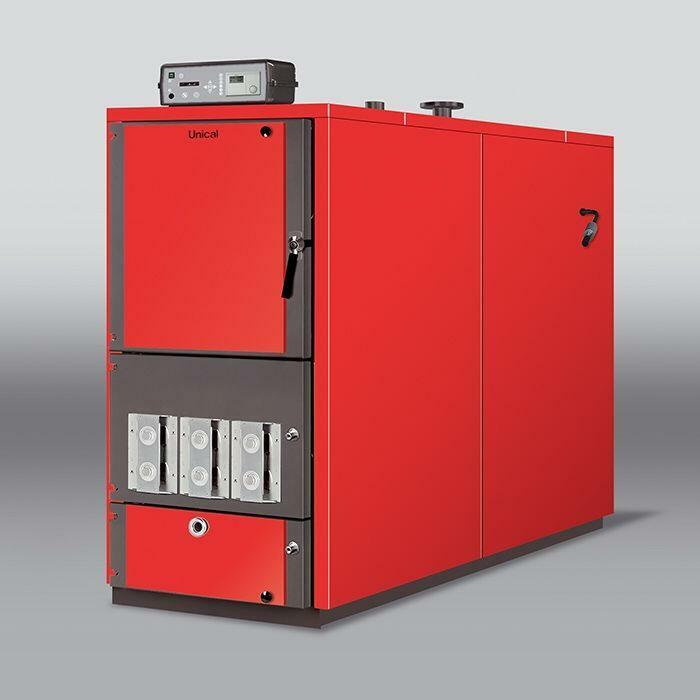 For more information on wood fired hydronic heating systems or to request a quotation, please complete the enquiry form below. 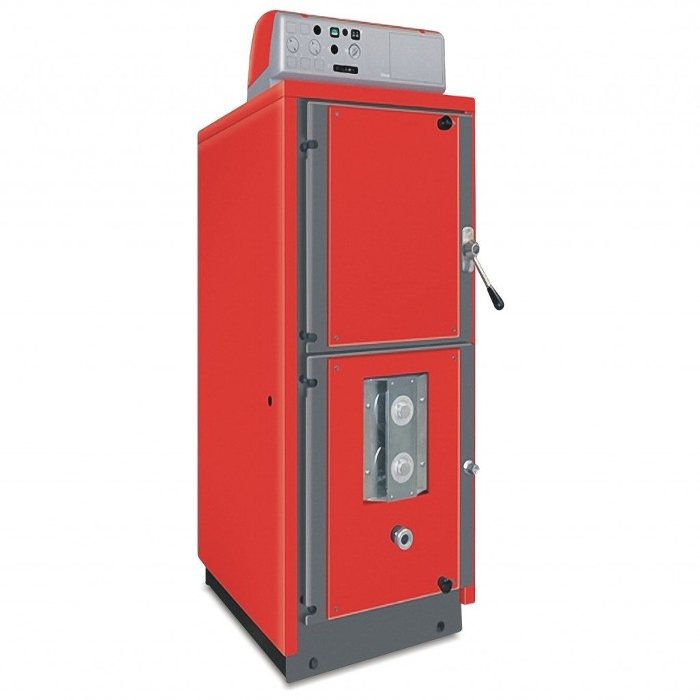 The Firex solid fuel boiler is designed and manufactured in Europe. Its clever design and high quality engineering contribute to its operational efficiency and reliability. 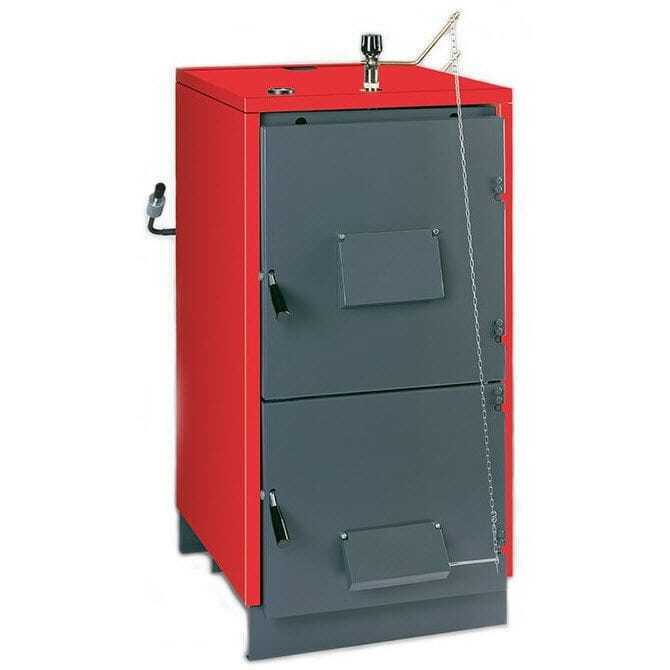 While made to world class engineering standards, Firex remains an affordable and efficient solid fuel water heater, ideal for rural heating requirements. The Laddomat valve controls water flow according to temperature presets to allow preheating of water in the top third of the buffer tank prior to being released into the main heating circuit. 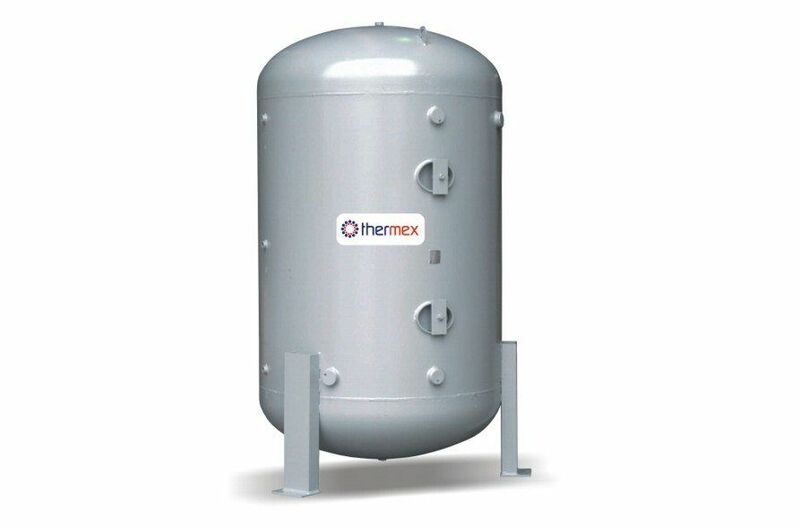 The Thermex Buffer Tank serves two purposes. Firstly, it allows preheating of the water quickly within a small closed water loop in close proximity to the boiler. 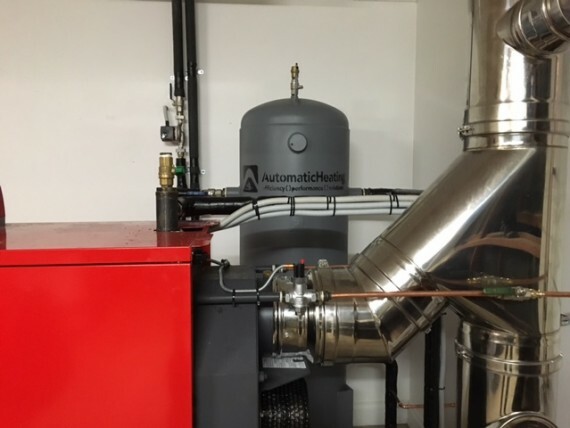 This means the water returning to the boiler achieves a higher temperature more quickly in the preheating phase. Secondly, the buffer tank provides a reserve quantity of hot water which reduces the number of heating cycles required thereby conserving fuel. 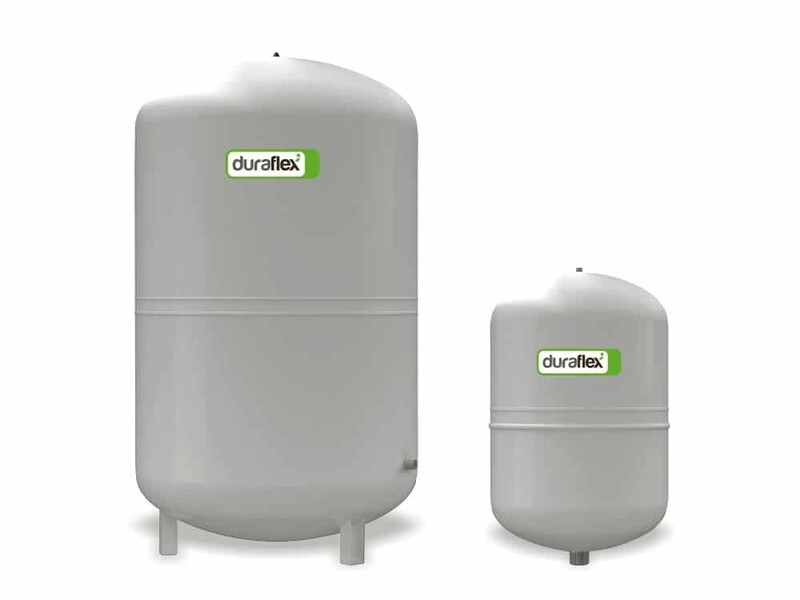 The Duraflex Forte Expansion Tank accommodates pressure variations in the closed water loop during the heating cycle. Precise airflow controls help to achieve optimum combustion efficiency. 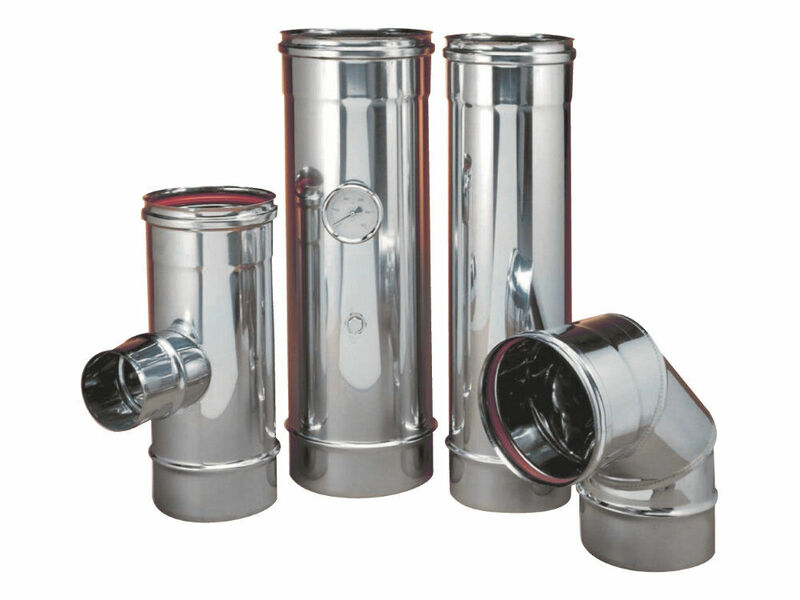 The twin walled Stainless Steel Flue incorporates a catchment area for soot and embers which is easily accessible for cleaning. An inspection hatch allows contents to be checked at regular intervals. A close up view of the Firex controls.